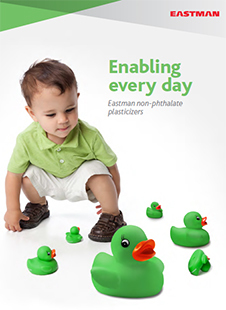 Admex™ 6995 by Eastman Chemical Company is a medium molecular weight polymeric adipate. 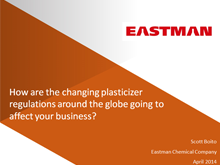 Acts as a plasticizer. It is a water-insoluble light colored viscous liquid with mild ester odor. Offers permanency and toughness. Especially effective in highly filled automotive plastisols. Admex™ 6995 is listed in TSCA (US Toxic Substances Control Act), DSL (Canadian Domestic Substances List), AICS / NICNAS (Australian Inventory of Chemical Substances and National Industrial Chemicals Notification and Assessment Scheme), MITI (Japanese Handbook of Existing and New Chemical Substances), ECL (Korean Toxic Substances Control Act), PICCS (Philippines Inventory) and IECSC (Inventory of Existing Chemical Substances in China) inventory bodies.